William Barr appears before the Senate Judiciary Committee on the issue of the Worldcom bankruptcy. Former U.S. Attorney General William Barr would bring a telecom track record back to the Justice Department. Barr, whom President Donald Trump is said to want to nominate as Attorney General, was general counsel and executive vice president at Verizon Communications Inc. from 2000 to 2008, according to his biography at Kirkland & Ellis LLP, where he is of counsel. Before that, he served in the same role at GTE Corp., according to the biography. 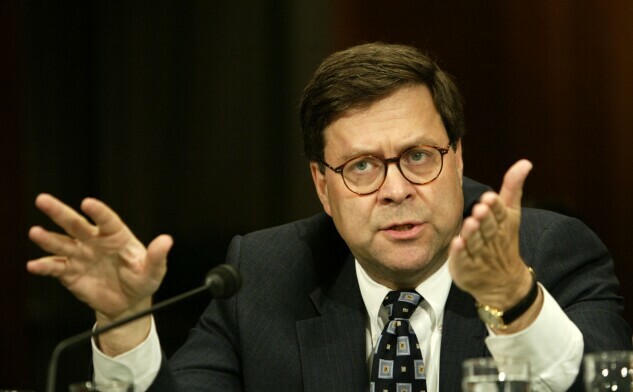 After serving as attorney general in the George H. W. Bush administration, Barr became general counsel and executive vice president of then-telecom giant GTE in 1994. Verizon formed through the merger of GTE and Bell Atlantic Corp. While at GTE and Verizon, Barr argued two telecom cases at the Supreme Court. Barr served on the board of Time Warner Inc. from 2009 until earlier this year, Bloomberg data show. The Justice Department has appealed a lower court’s decision to allow AT&T Inc. to acquire Time Warner. While at Verizon between 2000 and 2008, Barr helped oversee the telecom giant’s acquisitions of MCI Communications Corp. and Alltel Wireless, according to the biography.